The San Francisco Bay Area is adding glitter to their gold as they prepare a slew of celebrations to make the upcoming 50th Super Bowl extraordinary. Big name events include a planned Super Bowl City, the NFL Experience, a special Pro Football Hall of Fame exhibit in Santa Clara, a secret headliner performer, and a Super Community Ball. As part of the NFL Experience, there will be interactive throwing and kicking games to let fans participate the game-winning feeling. 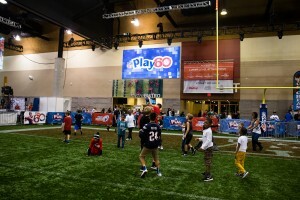 For kids there will be an NFL play 60 zone. Photo opportunities include the Lombardi trophy and each of the past Super Bowl rings. There will also be favorites players, past and present, on hand to sign autographs. The mayor of Santa Clara, Jamie Matthews, promised the city would be building up to the Super Bowl locally by opening an ice rink, which has never been done before. They’ll also do a Christmas tree lighting. Each of these events will be highlighted with fireworks! The community is also taking steps toward civic responsibility. 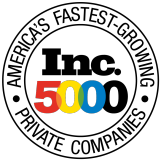 The 50 Fund program was created to use the power, prestige, and recognition of the Super Bowl to focus on youth development and sustainability. 50’s Fund, The Re(a)d Zone, will promote literacy to ensure that this Super Bowl leaves a positive future impact for the community. The Super Bowl comes to Levi’s Stadium in Santa Clara on February 7, 2016. We offer Super Bowl Tickets, as well as Super Bowl travel packages.